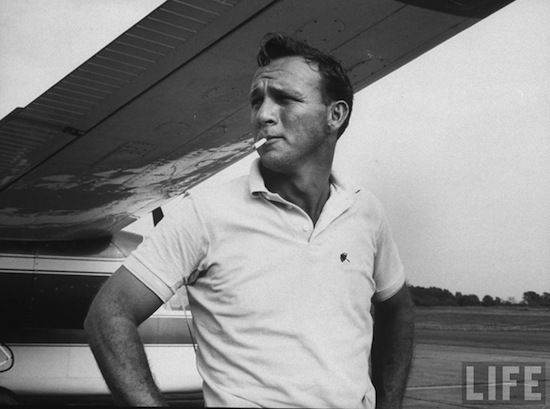 There are several reasons that Arnold Palmer has been one of the most iconic figures in the game of golf – ranging across his performance in major championships to his avid fan base (Arnie’s Army) to his unmistakable swing and further on to his timeless and trend-setting golf attire. 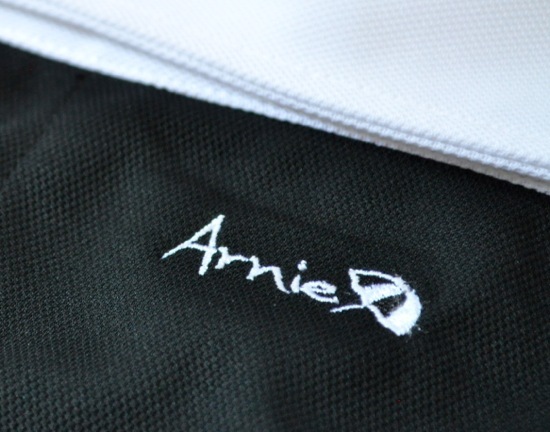 Arnie, a golf and lifestyle apparel line produced by Quagmire, has sought to capture the looks and threads made famous by its namesake – through a collection of clothing and accessories inspired by, and aligned with the decades during which Arnold Palmer dominated the game and captured the hearts of millions. The line features multiple collections – 1950s, 1960s, 1970s and the appropriately named Timeless collection – offering great options for both on and off the course. Each collection pulls inspiration from the time period – with examples ranging from color combinations and fit/cut to unique logo branding and versatility across seasons. Also noteworthy within the style book for the line is the use of several different materials. Living in North Carolina – in a higher temperature, higher humidity climate during the summer season – options for lighter, wicking material is a must. I received two shirts – both from the 1960’s collection. 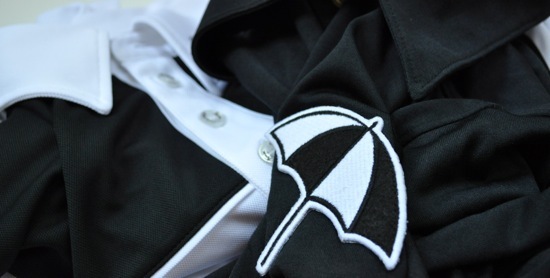 The first shirt is the Role Model – with a black and white color scheme that definitely looks and feels “from its time”. 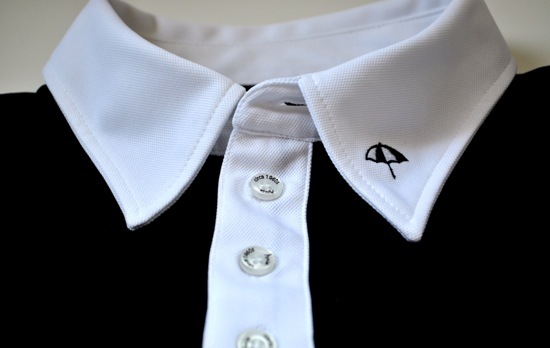 The shirt is made of a lightweight polyester quick-dry material that performed well on the course. 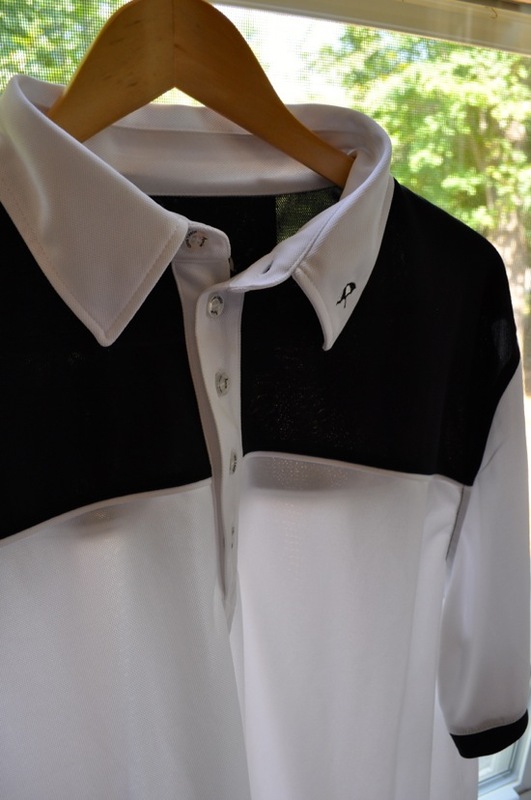 I played two rounds in this shirt during the extremely hot early July summer days this year – where temperatures pushed triple-digits and humidity tested even the most patient golfer. I liked the way the shirt felt – and especially appreciated the thin material and breathability it provided. The one challenge I had with the shirt, though was its relatively short length from top to bottom. There were a number of times through the course where the back of the shirt would come untucked. But to be fair, I’m 6’4”/225 – slightly bigger than the average golfer – so I need to keep my expectations in check. Overall, the shirt worked quite nicely and the style definitely fit well within my usual rotation of shirts used during my rounds. The second shirt I received was the Inspired shirt – also from the 1960’s collection. The eye-catcher on this one is the branding on the front – as you can see from the photographs. 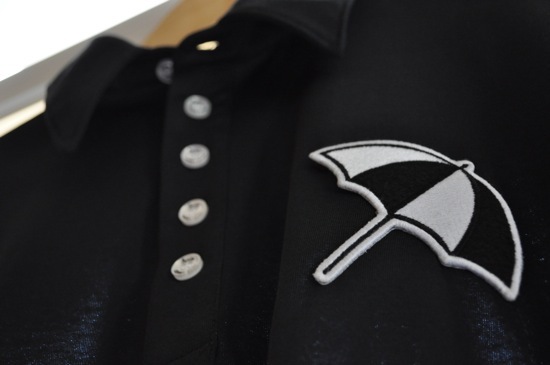 The very familiar umbrella logo that has famously adorned Arnie’s clothing line for years is prominently highlighted. This particular shirt is a more sport-fitting shirt – tight across the chest and shoulders – but is longer than the Role Model, and more favorable for someone with a longer torso. The material for this shirt is 100% polyester, which definitely makes it hard to put in the mid-Summer rotation. I like this shirt very much, but probably will end up using it more during Spring and Fall trips to the course. The line thoughtfully added a number of small and unique features. 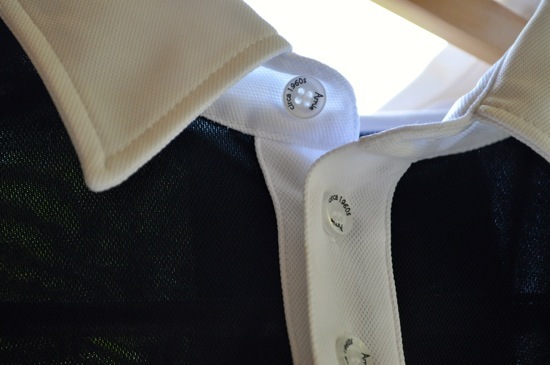 The buttons on the shirt are individually branded – and are thicker than the average shirt button. Lose one of these, and substitutes will no doubt change the look of the shirt. 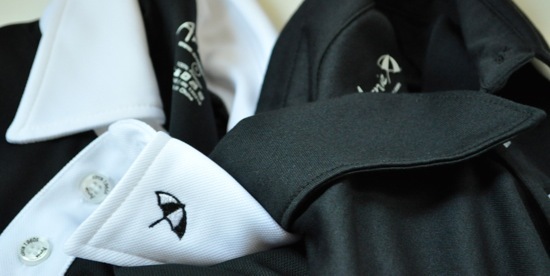 Both also have one of my favorite small features in golf shirts – subtle branding on the yoke of the shirt. There are a few other apparel companies that have started doing this – and it’s purely aesthetic, but it’s just something I find unique and differentiating in considering what to purchase amongst all the options out there. Overall, the shirts are comfortable and perform well. 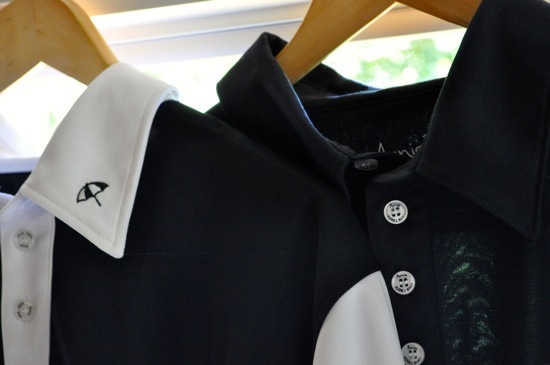 The style is certainly unique – and provides a nice break from the all-too-common simple styles and lines of most of today’s major golf apparel manufacturers. Thank you to Arnie for giving us the opportunity to share their exciting collection with our readers! 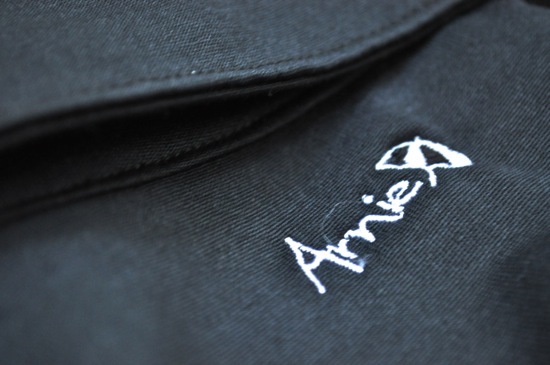 If you’d like to see a few more images of the shirts reviewed for this article, you can check them out in the ArnieWear Photo Album we have posted on our facebook page.